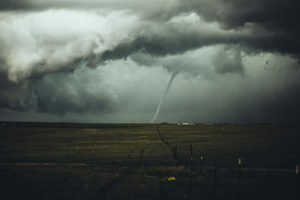 The weather extremes that battered the planet in the Summer of 2018 – from the searing heat across Japan and Europe, to the fires in California, Portugal, Greece, to the Arctic Circle, and the historic flooding in Hawaii and India, are very real examples of a rapidly warming, increasingly energized atmosphere. In fact, as the Earth warms, the amount of rain or snow falling in the heaviest one percent of storms has risen nearly 20 percent on average in the United States—almost three times the rate of increase in total precipitation between 1958 and 2007. And here in Chicago, according to the National Climate Assessment Report, the number of very heavy precipitation events since 1991 is 30% above the 1901-1960 average. While companies have always navigated a changing business environment, they now face a changing natural environment that will impact facilities and operations, supply and distribution chains, electricity and water, communities where they are based, and their employees and customers. In The Economist’s 2016 Global Resource Challenges Report, 66% of executives surveyed said climate change had already contributed to resource challenges – namely in the area of water scarcity. The report lauded Nestle for its implementation of a system to recover water vapor generated from milk processing at its plant in Mexico to reduce the facility’s overall water-use footprint and ensure ground water supplies weren’t over-drawn. In the same report, however, only 11% of executives said they had altered their resource management procedures, which suggests that those businesses that think ahead will gain a significant edge over their competitors. The key to gaining this competitive edge will come from moving beyond sustainability alone to a holistic approach to climate resiliency. Climate resiliency is the capacity of a business to maintain function in the face of stresses imposed by climate change. It means continually evolving to withstand future climate impacts all the while taking advantage of new market opportunities tied to a changing climate. Recruit and hire people with skills to help your business become more resilient. Partner with businesses that provide similar products/services on whom you can rely should you experience climate-related shutdowns of your operation. For example, a Florida-coastal manufacturer might enter into a manufacturing agreement with a Midwestern-based company with similar capabilities to provide back-up supplies in the event a hurricane shuts down their coastal operation. The upside of these sorts of arrangements is you may also market them as extra capacity during times of peak demand, in addition to buffers against disruptive climate events. Research and quantify climate change impacts and create strategies to mitigate risk. A useful tool to help guide this process is the guidelines published by the Financial Stability Board’s Task Force on Climate-Related Financial Disclosures (TCFD). Formed in 2015 by the G20, and chaired by Michael Bloomberg, the TCFD’s recommendations are designed to help companies disclose decision-useful information which will enable financial markets to better understand climate-related financial risks and opportunities. At the same time, the process can help lead companies to adjust their strategies and processes to be more sustainable and resilient. For example, as a result of its own assessment using the TCFD guidelines, Bloomberg increased the number of disaster recovery sites, enhanced network functionality to enable employees to work remotely, created full redundancy across data centers and moved out of a waterfront data center in New York City. The company also took proactive risk-mitigation measures including resource utilization reduction and renewable energy procurement. With an eye toward “when,” instead of “if,” and a cross-functional dedication to climate resiliency across your entire operation, you will be better positioned to weather climate changes than your less-prepared competition.